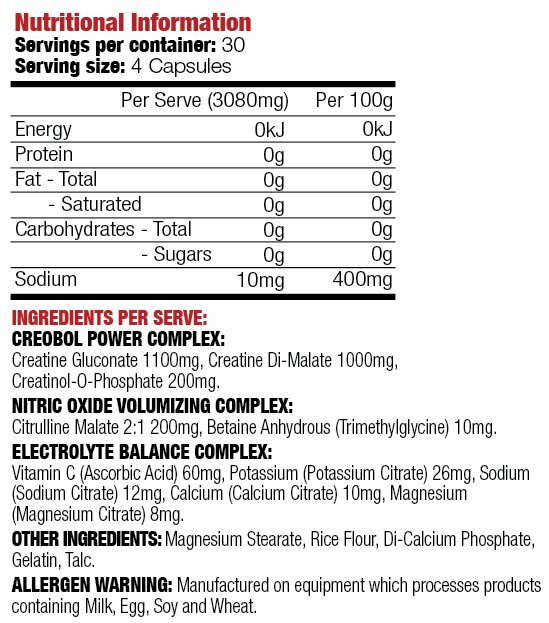 The blend of three types of Creatine combine to maximize the absorption of this product into the body. 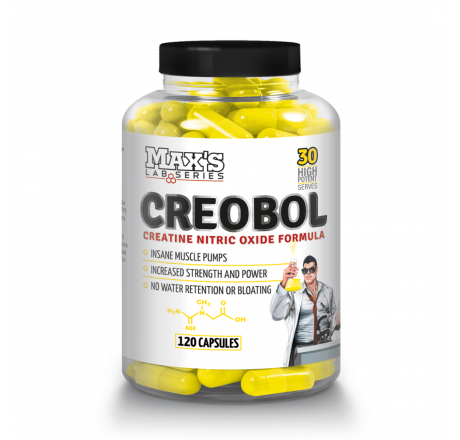 By combining this Creatine complex with a Nitric Oxide volumizing complex, this is a product not only designed to increase power and strength, but increase blood flow and push you through the important reps.
Max’s Creobol System is recommended for trainers looking to increase muscle size, strength and power. It also assists blood flow maximum muscle pump and lactic acid removal. Increase muscle speed, strength and power. Maintain optimum muscle hydration and pump.